Lugworms are a species of segmented worms that can occur in very dense populations in certain areas. They burrow in the sand to make J-shaped burrows that usually reach about 20cm below the surface. They feed on organic material and detritus in the sediment where they dig their burrows. In order to extract nutrients, the lugworm ingests the surrounding sediment and expels the indigestible matter to produce a worm cast that is visible at the surface of the burrow. Lugworms have special organs called statocysts used to orient themselves so that they always burrow in a head-down orientation. Lugworms have separate sexes and exhibit external fertilization. Individuals mate several times during their lifespan, beginning at a low tide. To help avoid predation, lugworms will willingly lose their tails, which can be regrown. Lugworms are widely distributed along the sea shores of northwest Europe as well as Britain. They are found in the middle to lower shores in sand and mud. They can achieve high population densities (100-150 per square meter) and can make up 30% ofthe biomass of a typical sandy beach. Lugworms are essential to a well-balanced ecosystem. They aerate the sand and sediment and serve as food for several varieties of fish and birds. They are also a source of fish bait for anglers. 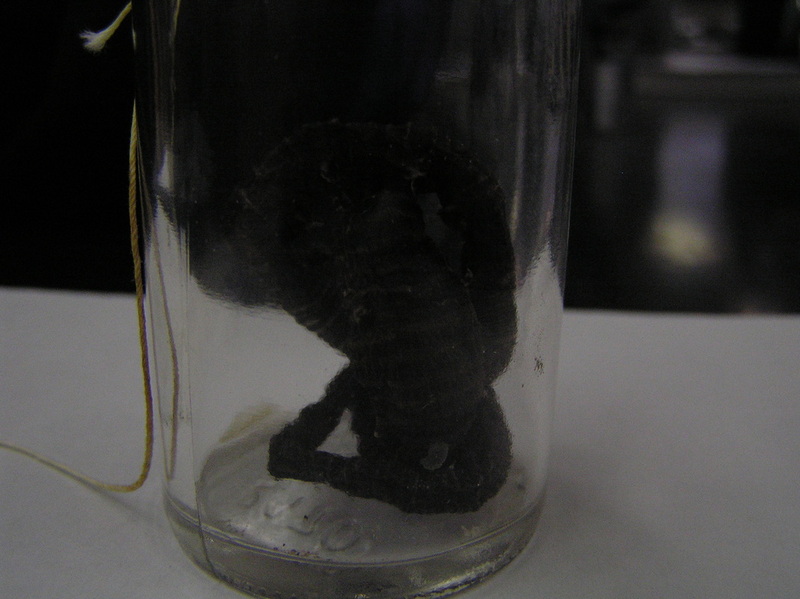 Scientists are also interested in studying the Lugworm's regenerative properties.